And I want to manage the comfort torque from my 2l Engine. Nota: the engine is still standard and has the flat piston for 8.9 CR. The ie head is the same more or less as 2 litre carb. 1800 head has large ports like 2 litre, will give a very small compression increase, but will give no advantage really, as the 2 litre has a better combustion chamber shape with less valve shrouding. 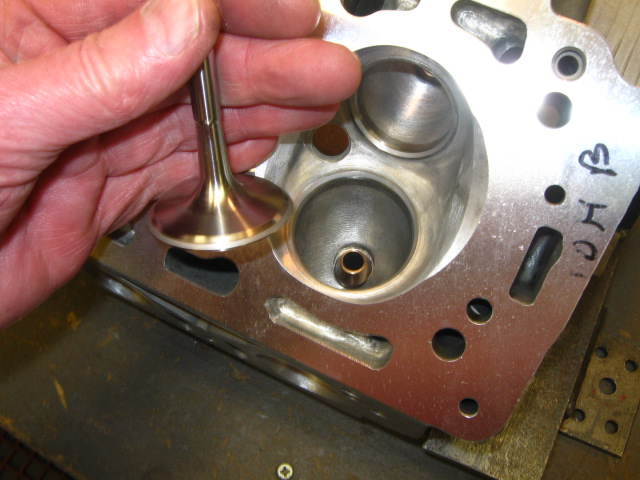 The best head is 105TC, but only if the ports are enlarged to take advantage of the 43.5mm inlet valves. All the heads will benefit from gasflowing and 3 angle valve seats. So I'm going to work with the strada 105TC head to rebuild and prepare it. I'have a complete head . I'm going to checked it, disassembling and prepare cuting with the 3 angle seats.